Pancakesandcider.com [BOSS] interviews feature women and couple entrepreneurs, trendsetters, and difference makers. 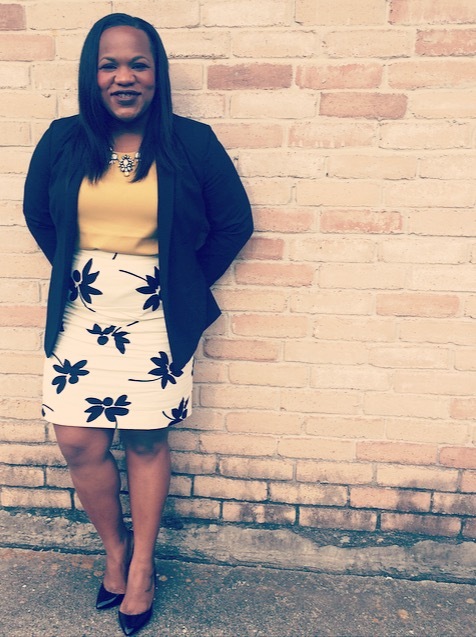 We're very proud to showcase their stories.Native Houstonian Akilah Bacy has been interested in the legal field from a young age and has been fortunate to pursue her dreams. Akilah Bacy graduated from Spelman College with a Bachelors of Arts in English and concentration in Political Theory and went on to graduate from Texas Tech University School of Law. She worked with the Harris County District Attorney’s Office, in Houston, Texas. In 2015, she established Bacy Law, PLLC specializing in criminal, immigration, estate and family planning. Did you always know you would start a practice and why? I did. When I was younger I wanted to work in the legal field, but not as far as having my own practice. As I grew up I always knew God gave me a heart for justice and righteousness. When I was at Spelman I was looking into journalism and becoming a legal analyst. How did attending an HBCU such as Spelman prepare you for your challenges today? I would say Spelman along with my upbringing and even law school prepared me for what we are seeing today. I think Spelman was definitely one of the most influential decisions I made in my life. It’s not only a school on academic excellence, but a school that pushes and strives for social excellence. Spelman channels you to focus on what you need to do and what areas you need to grow in. You don’t have all those answers right then and right there, but there is room for growth. Does law school prepare you for anything? I think having a law degree is a very valuable asset because it can open a lot of other doors for you. The law plays a part in all areas in any type of professional endeavor you might seek out. Why leave the District Attorney’s office? I think what a lot of prosecutors do is extremely noble with the commitment for justice often times what you see in places like that people are blinded by their desire for a promotion or the desire to be liked hinders their ability to do what the community has placed on us to do. I’m a person with a strong conviction. I saw a lot of injustices that were going on in the office. I felt like God was calling me to take a stand and now it’s time to move on to other things in this practice. Why do you think the rate of black women owned businesses is rising so quickly? To be one of the demographics that’s receiving college and advanced degrees at the highest level, it’s a natural progression to raise the status quo. We are past the point where we have to depend on someone for what we want. Never lose sight of yourself. As African-American women so often do, we will give a portion of ourselves or rather it’s not standing up for something we see happening with women from equal pay or a type of policy in place because we want to get to the next level. If I’m quiet here, I can speak louder the next level. If I’m quiet this level when I get to the next position I’ll speak up. The truth of the matter is if you’re quiet at the lower levels you’ll be quiet at the higher levels. I think it’s important that you go fill a space where you can be unapologetically you. What is your advice for professionals that are balancing new families and aging parents when it comes to estate planning? A lot of times we think if we are not Bill Gates rich, or too young, or no children we do not need estate planning. The moment you have any type of asset you do need an estate plan. Make sure your family or parents have a will. It’s easier because no one has to determine who will pick up the slack or determine how to divide things up. It’s also important to have a living will for medical decisions. It allows the family to work together without stress in a tragedy. Estate planning takes care of basic life questions. I would want people to say I used everything Christ gave me to affect positive social change and empower those disenfranchised groups. I was unapologetically true to my convictions. In your own words, what does it mean to be the BOSS? Own your own space. Stand unwavering of your convictions, that’s a boss move to me. For more information visit http://www.bacylaw.com.